Please post any comments you would like to share with other classmates here. Keep ‘em clean, in good taste and NO POLITICS please. Have fun. I will be thinking about you all and hope you have a great reunion. Life is good. Celebrate well. I am so disappointed that I will not be able to attend this one. I will be working in Alaska from the 11 Th to Sept. 6 Th. I think this is the first one I have ever missed!!?? It is, as always, sad to hear of the passing of one of our own. John Foster will be missed by many I am sure. Y'all have a good time and I will be thinking of you. Thanks for having this site! It has brought back memories. While attending LHS I lived in an apartment just north of the school, with my Mom. I welled up when looking at in memoriam, some of them were friends. I have called Cut Bank, Mt. my home since 1966. Have a good reunion picnic. I am sorry I won't be able to join the reunion fun this summer but please say hi to others and I wish us all a Happy 65th Birthday Year! Judge Graham – we’ll miss you! Our best to you, your family and Bryn and her groom! Folks: I regret to say that I cannot make the picnic this year. Our niece, Bryn Tilsley, will be married on August 13th and it will be a busy weekend filled with visiting family and guests. I hope you are all well and that you enjoy the picnic. Hi to everyone. Thank you Janet for supporting me, lets think about it. At least it would be different¡¡¡¡ What we need is to keep in good shape. All of you that you want to get in touch with me please do it, to noradonatelli@hotmail.com. I will be very happy to answer you. I love you all. Hello, I wish I could have attended the reunion, it seems like many years ago....... This web site is great, thank you all for your work. 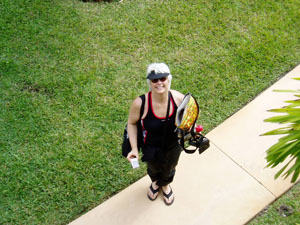 I have a busy practice as a physician, and was not able to get away. Barcelona sounds great!!!! Hope we all can attend. Sign me up for Barcelona! I can't think of a better place! Hi!!! I was really sorry not to be able to attend this reunion but I had to work. Seems to have been a fantastic reunion as always counting on the fantastic organization of Dave and Sue and The Committee, thank you for working so hard and joining the people. I suggest you plan the next reunion in Barcelona, Spain, because you will never forget about it....... Fun and good Spanish wine will be assured in additional of our beautiful city, what do you think? God I hope I make the review and editing. www.joebailey.us If not I'll write a song about it. Works for me either way. Sorry I had to miss the recent reunion, and had every intention of attending, but, unfortunately, life, or perhaps I should say, death, got in the way. I'm delighted it was a good gathering, and i was certainly there in spirit. Until Dave and Ron and I can get me linked to our new lhs site, drop by www.jimdawson.com when you have a chance to say hello and see what I'm up to these days. everything is good back here on the east coast. sending you all my warmest wishes and memories. 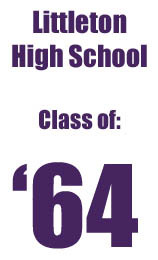 how grateful i am to still be a member of the class of '64'. Sorry to have missed the 45th Reunion. I was in town at the time but was not aware of the event until today. I am sure everyone had a great time. I now live in Pagosa Springs on a beautiful ranch where the San Juan River runs through it. It is the most beautiful place in Colorado. Hope to see some of you in the future. Thanks to Sue and David and the rest of the committee for this web site it brings back a lot of memories for all of the class of '64. 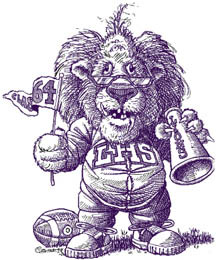 Diana (McDaniels) Reynolds from the LHS Class of '65 is in town and has put together an Impromptu Reunion for Classmates on Thursday August 27th, 5:30 at HOPS Restaurant and Microbrew, 8026 W Bowles Ave - just E of Wadsworth on the N side of Bowles. I guess I've been "missing in action" since graduation. Perhaps the explanation is that I married in 1965 and took the last name of my husband. Despite being "lost" all of these years, I have lived and worked in Denver my entire life. It is a shame that I missed the 45th reunion by only a few days -- alas...... I should have checked into this much, much sooner. I am sure very few classmates remember me. 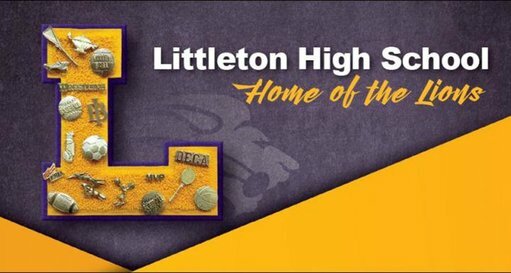 I was at Littleton High for my Junior and Senior years, participated in the choir both years, but kept to myself a good deal. I checked the yearbook photos shown on this web page and mine is not included, although it is in the yearbook. It was fun looking at many familiar faces. Many thanks for giving me an opportunity to connect. WOW! I am really sorry I missed seeing everyone. I think a 65th Birthday Bash would be lots of fun. I am planning on coming the next time. What a great Reunion Committee we have, THANK YOU. I had fun looking at the group photo. Anyone live near Portland, Oregon? If so, let me know. Sure wish I could have been there! Due to some moving around since the 30th reunion, guess I've lost contact, but would like to re-establish. So nice of Sue Hunt et al to keep us going, and I appreciate it! What a great class, and I love seeing updates. Please keep in contact! I've quite a story to tell! This is a pretty good forum to keep in touch. I hope people will keep posting from time to time. In the meantime maybe those of us who are not voluntarily among the missing can register and make contact information available? I am so glad I went Friday night and thoroughly enjoyed seeing everybody. Thanks to all of you, especially the committee who pulled the weekend and this website together. Haven't felt this connected in quite awhile! Maybe we can have a 65th birthday party? “The 45th Reunion was a great success. It is always so nice to renew friendships many dating back to elementary school and even kindergarten. Classmates traveled in from all three coasts and many places in between. Ron Plunkett and Bob & Dale Schmidt even traveled all the way in from the Republic of Boulder. There are so many folks to thank for such a great reunion; the event staff was great and the setting one of the most beautiful in all of Colorado. The reunion committee did a great job of getting us organized and at a great venue and for a reasonable price. We will be returning to Arrowhead soon. Thanks so much to the many spouses who braved the reunion--some of them even admitted having fun. There is already talk of the next reunion. We've decided that life is too short to wait every 5 years to see one another. We had discussions this weekend about more frequent reunions, holding them as different times of the year, changing the format even more, etc, etc. There is even talk about a LHS Class of 1964 Cruise suggested by Bob Schmid'ts wife Dale. Now that would be a kick. Caribbean?? Alaska?? Yucatan?? How about a get together at a destination resort--Now Atlantis would be a kick (http://www.atlantis.com/accommodations.aspx). Maybe a return trip soon to Arrowhead with a burger cookout shared with the class of 63 and 65. Keep tuned to this website for more information. Reunion pictures to be posted soon. Thanks everyone for attending. See you soon". Hello and happy 45th to all! Looking at this website is so reminiscent of all the good times we had in high school. 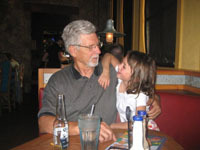 I want to thank Dave and Sue, especially, for all their efforts in getting this website established. We can use these good memories to keep us pluggers going until the 50th! We are fortunate to have classmates willing to devote time to this effort and it is much appreciated. No, I am not kissing up (I think I used to know how to do that but I forgot over the years.) I haven't forgotten the fun we had, however, and I am so grateful for this reminder. To Dave, The Reunion Committee, and everyone who participated in preparing and setting up this website: What a wonderful job you all have done. It's very impressive. Thank you for your hard work. I won't be able to attend the reunion; but, will be thinking of you all. I know it will be a great success, and that everyone will have a memorable and very special time. 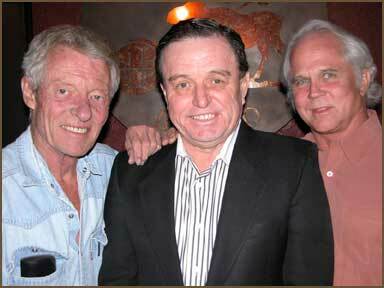 I woke up feeling pretty good today, and then someone sent me this..
Eddie Haskell, The Beaver and Wally! HOLY CRAP!! Are we REALLY that Old??? Hello everyone - I just received an email from Lynn Fisher informing me of the class reunion this weekend. I had no idea!!!! We are on our four month summer travel scheduled in our motorhome. While I am currently in Colorado (Durango) I cannot get to the reunion. I so wish I could see you all and catch-up on life. I am still living happily in San Felipe, B.C. Mexico. Come Visit!! Ditto Ron Plunkett's post. Fantastic job, Dave and all of your helpers. I may have to rearrange my life and come Saturday night after all since it looks like Bob Karulf has saved me a seat. I felt a nostalgic ache upon seeing the photo on the home page. Good thing I bought hair dye today! See you then. I just received Dave White's email and the website info. Sadly,Ann and I probably will not be able to attend the reunion this year. I hope this finds everyone well. A relatively minor family emergency has come up so we will not be able to attend the reunion. Flying up to Minnesota Thursday. I've already paid for Candy and me to attend so have another dinner or two on me...! Should be getting back mid-day on Sunday... so if any of you are still in the area, I would love to get together and catch up on the last 45 years. Hope you have a fun reunion. I really enjoy staying in touch with you guys! The site looks great! All the pictures are crisp. I love the ones that are identified -- isn't it amazing how the memory goes after even 5 years! I especially like that someone has added an "in memoriam" page, as we don't get much information out here on this coast about how people are. Some people have put in a lot of work here! I really appreciate it! I know the weekend will be wonderful. We'll be there in spirit. PS. 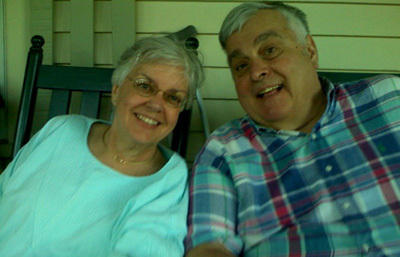 Below is a photo of Marshall and I, sitting on the porch in Hyannis Port, wishing we were in Littleton...wishing everyone there well! Thank you for all you do for the Class of 64. Your efforts are again demonstrated by all the work you've done to get this wonderful web site together and operational prior to our 45th reunion. I've really enjoyed viewing the content already there and know it will do nothing but grow as our classmates discover the site and join in making contributions. And hopefully, somehow, it will make handling of your lists and updates less complicated. And thanks to Kent Thornton too for all his (Creative Marketing) efforts and the URL. And to Mike and Joel at WebWelder.com for the actual building of the site!